Back when I worked catering, we were required by the health department to use plastic cutting boards because “they were more sanitary”. Like so many well-intentioned government agencies, they were wrong. This post explains why wooden cutting boards are better than plastic or glass and why I only use wood cutting boards in my kitchen. In Plastic and Wooden Cutting Boards by Dean O. Cliver, Ph.D of UC Davis, they noted that “the U.S. Department of Agriculture told us they had no scientific evidence to support their recommendation that plastic, rather than wooden cutting boards be used in home kitchens”. The problem is that while it may seem like plastic is non-porous and can't absorb liquids, with use the surface becomes knife-scarred. This rough surface is exceptionally difficult to clean, even with bleach or running through the dishwasher. Wood, by contrast, shows the ability to halt the growth of and kill bacteria applied to its surface. Both new and used wooden cutting boards maintain this ability equally well. In a study conducted at the University of Wisconsin (also by Dr. Cliver), they tested bacteria known to produce food poisoning – Salmonella, Listeria and enterohemorrhagic Escherichia coli. These bacteria were placed on cutting boards made from seven different species of trees and four types of plastic. All the wooden boards consistently outperformed the plastic. The scientists found that three minutes after contaminating a board that 99.9 percent of the bacteria on wooden boards had died, while none of the bacteria died on plastic. Bacterial numbers actually increased on plastic cutting boards held overnight at room temperature, but the scientists could not recover any bacteria from wooden boards treated the same way. (This study) revealed that those using wooden cutting boards in their home kitchens were less than half as likely as average to contract salmonellosis (odds ratio 0.42, 95% confidence interval 0.22-0.81), those using synthetic (plastic or glass) cutting boards were about twice as likely as average to contract salmonellosis (O.R. 1.99, C.I. 1.03-3.85); and the effect of cleaning the board regularly after preparing meat on it was not statistically significant (O.R. 1.20, C.I. 0.54-2.68). Basically, wood cutting boards kill bacteria. Wood binds up water, which bacteria needs to grow. Wood also contains antimicrobial compounds. (Given that many other plants can be used as natural antibiotics, this is not entirely surprising.) Old or new, wood cutting boards add an extra line of defense to your kitchen. Bamboo may have similar properties, but the only test data I was able to find about antimicrobial properties of bamboo focused on bamboo cloth. Read Bamboo – is it Antimicrobial? Wood cutting boards protect your knives and don't dull them like ceramic or glass cutting boards. Wood is completely biodegradable and renewable. Wood cutting boards may support small business. Check out your local farmers markets and craft fairs for handmade products. Wash boards after each use in warm, soapy water. If you have chunks of food stuck on the surface, use a knife or kitchen scraper to remove most of it before washing. Do not leave boards to soak! Do not wash wooden cutting boards in the dishwasher. They will absorb water, and this could trash your cutting board. Dry thoroughly before storing. I prefer air drying in the dish rack. To remove odors, rub down with half a lemon or spritz with some vinegar. This will also help sanitize the board. Wood cutting boards should be regularly seasoned with a good quality cutting board oil. You can find them in most hardware stores. Mineral oil is typically used, since it does not go rancid. Do not use vegetable oil or olive oil. There are oil blends such as Block Bros. Block Oil and Boos Block Mystery Oil that are made with shelf stable edible oils. To season, start with a clean, dry cutting board. Coat entire surface with a layer of oil and rub it in. Let set to absorb in warm, dry area for 12 to 24 hours. Buff to remove any oil that may not have been absorbed. Repeat as needed any time your board starts looking dull. Keep your knives sharp. Dull knives mean that you have to press harder to cut, which will mark up your board. Clean surfaces frequently with hot, soapy water or a combination of a spray of hydrogen peroxide followed by a spray of white vinegar, which is an extremely effective disinfectant. Keep one bottle of each on hand and apply as needed. Make sure to store the hydrogen peroxide in a dark bottle, as light will cause it to break down. Don't use sponges. They tend to stay wet and moist – perfect breeding conditions for bacteria. If you still feel compelled to use them, check out Do's and Don'ts of Kitchen Sponge Safety. I prefer the use of dishcloths, washed frequently and spread out to dry between uses. Line drying in the sun will help kill bacteria, as will microwaving a very wet dishcloth for about a minute, or washing in hot water and drying thoroughly. Don't cross contaminate. Keep meat away from produce, cooked food away from raw food, etc. Don't grill and put the finished meat on the same plate you used for the raw meat. Choose the cleanest food possible. Meat and eggs from healthy animals are less likely to harbor bad bacteria. If it's from your own garden/land or from someone you know, you can more control over what the food may be exposed to. Organic does not necessarily mean pathogen free, but it may help. See E Coli Facts from the Organic Trade Association. Cook to safe temperatures, refrigerate promptly. Bacteria proliferate faster at room temps. You can read more about food safety at “Protect Yourself from Salmonella and E Coli Naturally“. Stay safe and enjoy your time in the kitchen, and share this post if you think others would also find it useful. P.S. The beautiful cutting boards in this post are from Boos Block (top and bottom photos) and Teakhaus by Proteak. Originally posted in 2013, updated in 2017. Wow! I never would have thought! I actually use the Natural by Epicurean (it’s made of a wood-fiber laminate) and I LOVE it! It says that it prohibits bacteria…I wonder if it works as well as a regular wooden cutting board? When properly cared for, wood cutting boards can also last just about forever, too. Very eco-friendly. Thanks for sharing. I get plastics harboring bacteria, but glass? I’m not sure I understand why glass would be inferior to wood, since it is not porous or easily scratched like plastic and wood. Did you find anything to explain this? I didn’t find anything specifically noting bacterial issues with glass, although it is not naturally antimicrobial like wood and bamboo. I have seen some comments that indicated a concern with minute glass slivers flaking off (some people beat the heck out of their boards). Also, glass is likely to dull your knives more quickly, and would create a more slippery surface when wet so that food could slide around and be a little tougher to cut. If proper kitchen sanitation rules are followed, surfaces are regularly cleaned and you don’t get rough with your glass boards, they should be fine. I do know that glass boards are awful for your knives. And glass can scratch, or chip — those tiny areas are just as problematic as on plastic. Fantastic post! Seems counter intuitive but I have read this before too. Glad I know the best practices for washing my boards! Thanks! I have long heard the fact that wood cutting boards are better for you than plastic. I thought though, that I had also heard that it was only true with untreated wood boards. Once you oil the boards the bacteria doesn’t necessarily die off like with an untreated board. I am curious if the research you site tested oiled or untreated boards? I would much rather start treating my boards as it would help them last longer. However, I don’t want a board that is unhealthy and doesn’t kill the germs like the untreated do. Do you have any info to help clear this up? Although it’s not clear from the information provided about Dr. Cliver’s research whether the wood tested was treated or untreated, it seems logical that any treatment would only affect the surface of the board, not the subsurface. The surface can still be washed, and the subsurface is where the antibacterial activity is more pronounced. Also, there is evidence that bamboo maintains its antibacterial properties even when processed into fabric, and this is a far more dramatic change of state than creating a cutting board and applying oil. I cannot say with 100% certainty that the antimicrobial activity is unaffected by treating the wood, but it would seem logical to me that it would still exist. I do treat my cutting boards. We all need to read the instruction book. Leviticus 15:12 tells us that we only have to rinse wooden vessels but break earthenware vessels and bury them. God put naturally occurring toxins in the wood that kills bacteria. This info has been around for 4500 years. Would you reccommend seperate boards for meat and veggies then? Any thougjts on picking iut a good wood board?? As I mention in the post, Don’t cross contaminate. Keep meat away from produce, cooked food away from raw food, etc. Don’t grill and put the finished meat on the same plate you used for the raw meat. As for picking out a good board, you can often find ones that are made locally at craft fairs or thrift sales, especially during the holidays. Otherwise, look for a good, sturdy hardwood board. I like the ones with a drop channel around the outside edge to catch any runoff. I’ll be hosting a cutting board giveaway sometime in the upcoming weeks. I was contacted by a company that makes the boards and liked the post. I use a cutting board with the “juice channel” for meats and the other side which has no channel for fruits and veggies. I do dice hard boiled eggs on the meat side just to be safe. You can also get your wooden board clean and free from bactaries by scrubbing it with salt, let i set for 20 minutes and then rinse! I’ve seen that recommended in a number of places, and salt does inhibit bacteria, but isn’t that hard on your boards? No. The combination of Salt and Bleach on wood, placed in the sun(or not) for 30 minutes is also used to” lighten” the wood ever so slightly. After an afternoon of cutting meats for my freezer I use salt and Blue Dawn to clean, then rinse well. I have plastic boards. I don’t cross contaminate. I would like to get board, but the last board I got was indeed a low/poor quality one from walmart and it got marked up pretty quickly and I wondered about splinters getting into the food. Does no soaking, sharp knives, and oiling all reduce a chopped up/sliced up board? What else can be done to reduce the incidence of splinters? And how long do you think a medium/fair quality board should last you? Thanks! I don’t regularly shop at Walmart, because I ran into quality issue (especially with kitchen items) in the past. (I went to use a potato peeler I bought there, and it stuck in the potato and broke off the first time I tried to use it.) I have one mid-quality board that I bought at Shopko, and I’ve had it at least ten years. I made a pig-shaped cutting board back in junior high shop class, and that’s around 30 years old and still in good condition. The only board I’ve had splintering issues with was one that was made of softwood, not hardwood. Otherwise the pig baord, the mid range board, a second hand board from my MIL (the one with the handle in the photo), the butcher block counter – no splintering issues. A hardwood cutting board treated with modest care should last a lifetime (or longer). Can you treat wood cutting boards w/ coconut oil? While coconut oil is very shelf stable, it eventually does become rancid. I’d personally stick with one of the blends specifically mixed to avoid rancidity. Gail, my name is also Gail and my grandfather and father had a little meat market. They did the same things that you mentioned. Thank you for the memories. Is it possible to season a wooden chopping board with duck fat? I wouldn’t recommend it, simply because the duck fat will get rancid fairly quickly. I’ve known about the antibacterial properties of wood cutting boards for many years. One more advantage that should never be overlooked: your knife will slip on glass and plastic, but not on wood, making wood much safer to cut on. This also results in less stress on your hands and arms because you don’t have to struggle to control the knife. Ask me how I know!! I agree! Wood is just easier to cut on. I have a wooden cutting board, walnut or maple, from 1978 and it still has no splinters knife marks! Always wash with hot soapy water and wipe or drip dry. Am going to be replacing all my plastic cutting boards with wood even though they have the convenience of going into the dishwasher. Tried a glass one once and it was way too slippery! Glad to know my wooden board is indeed the best choice! Thanks for the expertise. And the abstract states “Recoveries from wooden blocks were generally less than those from plastic blocks, regardless of new or used status; differences increased with holding time.” NOT that there were no bacteria left on the wood. Please be more careful when reporting study results, and provide a link to the actual peer-reviewed article. Never in the article did I state that wood killed all bacteria, only that wood did kill bacteria, while plastic bred more bacteria. “….could not recover ANY bacteria from wooden boards treated the same way.” Doesn’t this indicate that ALL bacteria were killed on the wooden boards? As a former laboratory technician I can tell you that “could not recover any bacteria” does not mean that ALL were killed. Microscopic examination may well have found live bacteria that could not be recovered by a swab test. Boards with the end grain facing up are by far the best as knives will not cut the wood fibers. I run an Etsy store and we’ve recently started selling wooden cutting boards, would it be alright to reference your article in our listings as a reference for proper care of wooden cutting boards? I just feel like it would be an amazing resource for our customers, I didn’t know if it would be considered improper, or if you would be okay with the idea. Links back to the site are always welcome. Oiling to board ruins the antimicrobial nature of the wood board. Wood is hygroscopic and pulls the bacteria inside it where it is trapped and dies. If the pores in the wood are filled with oil then the board is basically a plastic board because all the bacteria will sit on the surface. If you were to wax the board, then yes, that would seal the surface. Oiling does not completely seal all the pores. 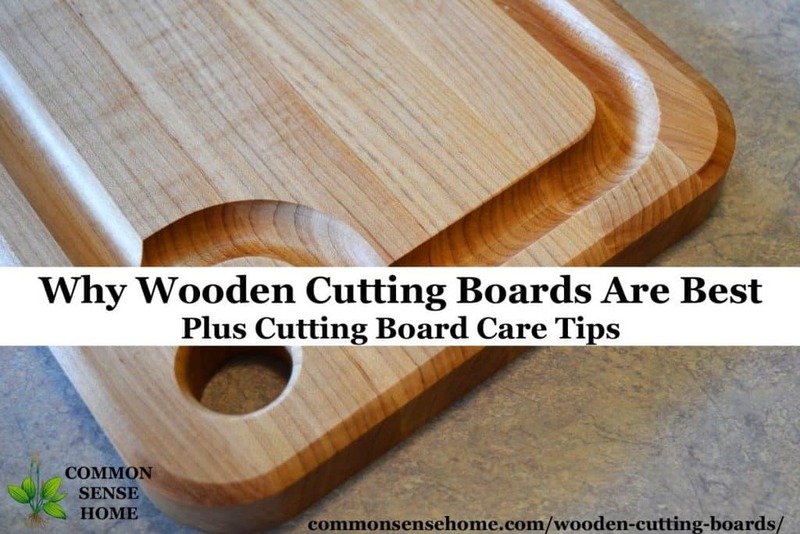 If you note, the one referenced study looked at people who used cutting boards in their homes, with no specific guidelines as to how those boards were maintained, i.e., the subjects were not using un-oiled boards only. I would use the cutting board in preparation of breakfast, lunch and dinner as the cook for our guest services small business. I love natural wood and hate plastic. Thanks. This board looks almost to beautiful to cut on! I however could use a second board for fresh fruit. Currently my wooden board smells of onions, making the fruit taste bad! Thanks for the information. This is completely counter intuitive so I never would have guessed wood is better than plastic. But your explanation makes sense. I would use this cutting board for when we have family cookouts–my adult son likes to cook meat on a smoker/grill. beautiful board – would love to win one. 🙂 it would likely be a daily use board, since we do a lot of cooking at home, and that seems like a lovely, practical size. I’m a vegetarian so I’m always using a cutting board for cutting up veggies and fruits. It would be nice to have such a nice one to use. Great info on cutting boards! Thank you. I’ve been trying for 2 or 3 years to figure out the best type to use. All of ours are so old and used and need to be replaced. We use them daily to prepare meals. Since my husband often gets the first part of preparing-slicing, dicing or chopping as I get home from work much later in the evening he uses the cutting boards probably even more than I do. It was great to read this blog and threads. Thank you. I would put the John Boos cutting board to good use in preparing my families favorite meals. It will also give me great comfort to know that using their handmade wood cutting board is safe and will not harm my family. I try my best to make what I can homemade and what better way to add to the tradition. Interesting read, although I am kind of concerned about using mineral oil on my boards. I wouldn’t cook with mineral oil (I don’t even buy anything that contains it), so why would I use it on my board? Surely, there is another food-safe oil I can use? Some people do use coconut oil, which is shelf stable for longer than most other oils, but eventually it, too, will go rancid. The mineral oil, if you’re using it properly, should be absorbed by the wood, not by your food. I love wood cutting boards! 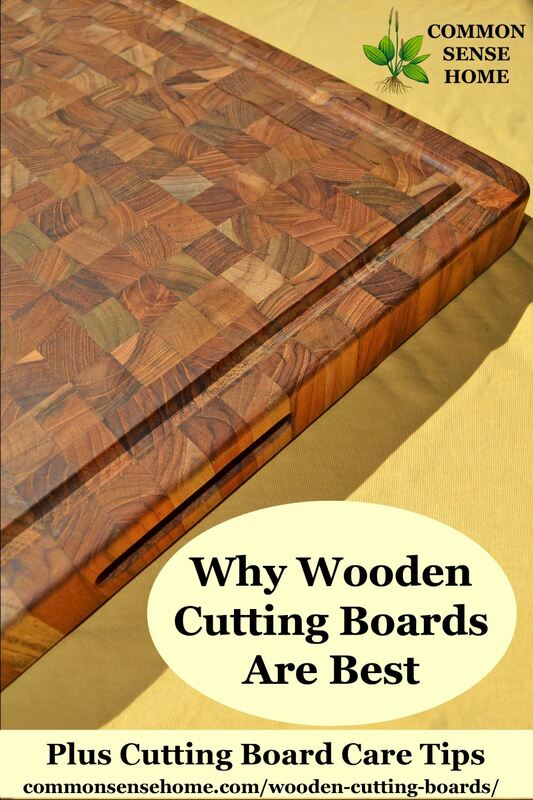 I loved this article on the wood cutting boards. You have done a really nice job. I will be replacing my plastic cutting boards now. Thank you for the article. Wow, I always thought the plastic cutting boards would be less likely to harbor bacteria! I glad to see the studies show otherwise, as I much prefer a wood board. They are much nicer to work with and look much better. Time to replace my plastic ones with wood. This is a great article. I would love to use one of these quality boards everyday … and they are so beautiful I could leave them on my counter! Gorgeous wood cutting boards! I love them…have been wishing for a good one like this! Great article, thank you! I’ve always preferred wooden boards, they look better and have a much nicer feel. If I won this it would definitely become my daily use board. Our small garden is growing in an over-turned dresser filled with dirt on the porch, as we rent and are not allowed to disturb to landscaping. If I won this cutting board, it would be used to prepare the lovely tomatoes, cucumbers and beans that are over-flowing our humble dresser garden! I would use it to cut all of the veggies that I use when cooking dinner. My dad worked as a butcher during the depression. I grew up with wooden cutting boards. My dad’s knives were always sharp and wooden boards helped keep them that way. I would love to have the beautiful board from John Boos. I’m in love with wood ANYTHING! My Dad was a carpenter. I love the smell of wood, the look of wood, and the versatility. And it was once a tree…how cool is that!!!! Love wooden boards. Weight is my only disadvantage. I Have an old butchers block board and it’s so heavy!!! This one is thick, but the size is small enough that it’s easy to move around (one of the main reasons I selected it). I use a large plastic cutting board daily & had no idea how bad this is. Will replace to wood ASAP. Thank you for this information! Well duh! I would use it to chop all those veggies I worked so hard to grow! I’m really glad you shared this post on Facebook again. It was very informative and confirmed my suspicions about the topic. I’ve been working on switching my cutting boards over for some time. This might sound dumb, but I’m really glad I read your note about not putting cooked meat on the same plate as the raw meat came off of. When we grill hamburgers, that is exactly what we do, and as I read that, I realized what kind of a dangerous mistake we have been making! It’s a very common mistake, because it’s so easy to do. Thank you so much for the helpful information in your blog and Facebook posts. I’m going to throw out my used plastic cutting boards and invest in a good hardwood board. I also appreciate the information about board maintenance that you have shared. I would love to win the cutting board, please. Thank you. I love wood cutting boards. They are the ONLY cutting boards I will use! Very timely article for those of us grilling out. I do have a butcher block in my kitchen but will rest another board of top of it when it comes to chopping meat or veggies or fruits. Would love one of these excellent quality cutting boards to work with. I knew wooden boards were superior from a hygiene standpoint, but I didn’t know they should be oiled. Thank you for this knowledge. How would I use a new John Boos cutting board…? Oh my gosh, with gratitude and forever! I’d use my new cutting board to replace the plastic one I have. Great article! I would definitely put my wooden cutting board to use chopping up fruits and veggies for salads and smoothies. I am moving to a new home near a college I will be attending and I would love to use a quality cutting board like this for my meal preparations! 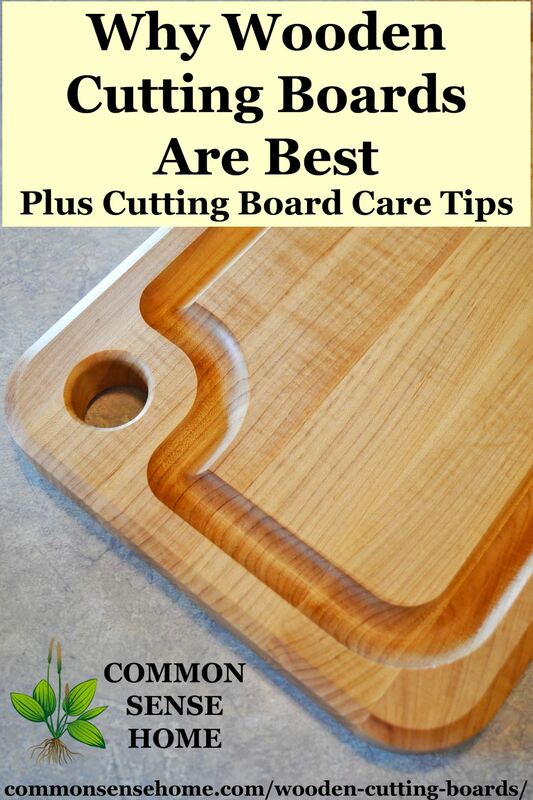 Awesome article on cutting board care. I’d use a new cutting board to chop up some green chilies, jalapenos, onions & garlic to make some green chili enchilada sauce. Great info on oils for the cutting board!